San Bernardino County is taking a big step toward working to reduce recidivism among mentally ill offenders through its Corrections to a Safer Community (CTASC) program, after a jail study conducted by CA Fwd’s Justice System Change Initiative team showed that those with mental illness are booked twice as often and stay three times longer than the general population. This difference points to the need to identify and refer those with serious mental health issues to program designed to serve this population in more targeted ways. “The goal of the program is to assist in the reduction of the incarceration of individuals who have a mental illness while ensuring their transition to services in the community,” said CTASC Forensic Division Manager Terri Franklin. “The program seeks to reduce the recidivism rate for those seriously mentally ill persons leaving the San Bernardino Type II jails.” Often individuals have a dual diagnosis of mental illness and substance use disorders. CTASC addresses the treatment and supportive needs of those individuals with a mental illness and a co-occurring substance abuse disorder. The program has received more than 400 referrals in the first nine months of the program from a range of early identification sources. The vast majority of those referred to the program are seen within five days of booking, which points to increased collaboration and coordination between agencies. The program, which is part of the county’s Department of Behavioral Health and is embedded in the jails in partnership with the Sheriff’s Department, uses a three-pronged approach: jail diversion, pre-release engagement and facilitating community re-entry. 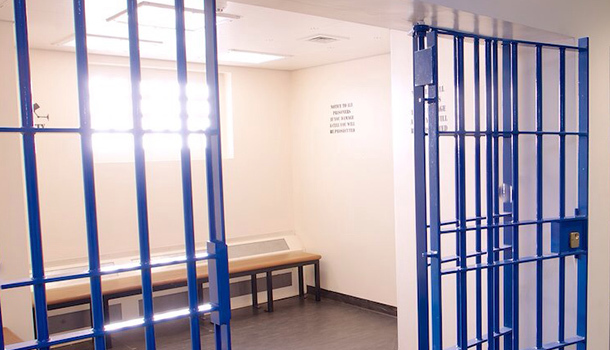 CTASC works with the Public Defender’s office to identify mentally ill individuals early in their jail stay and facilitate speedy resolution of their criminal matter. If it is a non-violent case that may have occurred because of the person mental illness, such as a public nuisance case, clinicians will work with the public defender’s office and the courts to divert that person to treatment instead of a longer stay in jail. The CTASC team also meets with patients while they are in jail to enhance engagement in jail and coordinate care before release. The clinicians will interview them and develop a reentry plan to ensure that their needs are met upon release and they have a smooth transition back into the community. Once an individual with mental illness is released, the CTASC team begins a process of successful reintegration by addressing basic needs and intensive care coordination. At the release from jail, CTASC staff are there to meet and transport them to the program that’s been arranged for them pre-release. This is known as the “warm hand-off” and makes sure that the individual is connected to services. Besides the Public Defender’s office, CTASC also works with the District Attorney’s office, the courts and the Sheriff’s Department. “Through all of our collective efforts, we’re making this a successful program," said Franklin. "This is definitely a collaborative effort." Because CTASC is a new program, it will evolve to meet the needs of its patients. Plans are currently underway to add peer and family advocates who will work with the patients as part of the ongoing case management. Peer and Family advocates are individuals or family member who have “lived experience” with behavioral health needs. Franklin added, “The beauty of a new program is that we’re building this as we’re flying it." Innovative programs like CTASC are a step toward lowering jail recurrence of the mentally ill and addressing the disparate impacts of those with mental illness.